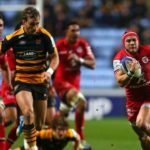 Wasps shocked Exeter 26-19, while there were also English Premiership wins for Bristol, Worcester, Northampton, Gloucester and Leicester. Springbok centre Juan de Jongh has signed a new contract with Wasps. 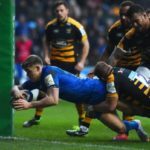 Leinster cruised to a 37-19 victory against Wasps to finish top of Pool 1 and progress to the European Champions Cup quarter-finals, while Toulouse also won on Sunday. Wasps have confirmed that Springbok fullback Willie le Roux will leave the English club at the end of the season. 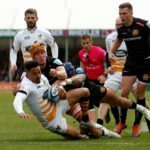 SARugbymag.co.za looks back at the past weekend’s English Premiership, Pro14 and French Top 14 matches involving South African players. Springbok fullback Willie le Roux will not be joining the Vodacom Bulls from Wasps. 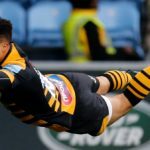 Cheslin Kolbe’s try guided Toulouse to a 24-16 win over Wasps, while there were also European Champions Cup wins for Gloucester, the Glasgow Warriors, Leinster and Toulon on Saturday. 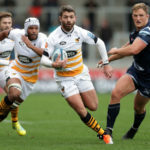 Willie le Roux is one of three high profile players who are expected to leave Wasps at the end of the English Premiership season. 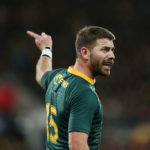 Springbok fullback Willie le Roux is set to hold talks about his future with English club Wasps.